1203 E Quartz Beautiful custom built rancher in the coveted Wandermere Heights gated community. This home features 6 bedrooms; which includes two master suites! 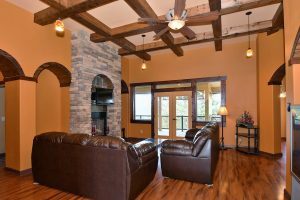 Open floor plan with 12′ box beam ceilings in the living room. No expense was spared in the kitchen with natural edge granite counters, huge kitchen island, stainless appliances and lots of cabinet space! Downstairs features a wet bar, game room and theatre with surround sound. 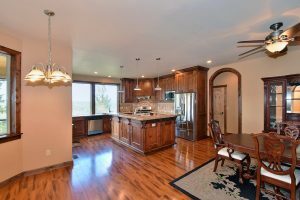 Enjoy spectacular views of the golf course and mountains from your expansive deck. For more information on this listing or to set up a private showing, please contact us. 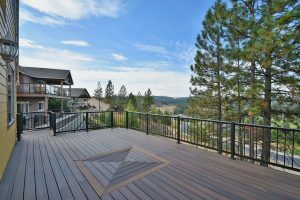 Click here to see more North Spokane homes for sale.